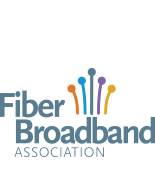 The FTTH Council applauds the FCC’s announcement today to award 12 FTTH projects as part of its Rural Broadband Experiments program. This is yet another step in implementing the Chairman’s vision to bring future-proof, scalable high-performance broadband networks to all Americans. As noted in the Council’s petition recommending the establishment of the program: "these experiments will enable local creativity to identify the best options for the future, spurring innovation and job creation, AND empowering and connecting communities in areas of the country often left behind.” The need for all fiber networks to achieve these ends should not be limited to these few “experiments” but should direct the Commission’s actions for all of its support programs.